The PDBM10120AP is a pilot-operated, spool-type proportional pressure relief valve. If the pressure at port 1 exceeds the setting defined by the electrical signal, the pilot poppet opens. Then, the oil flows from behind the main spool to tank port 2. The resulting pressure differential causes the main spool to move against the reset-spring. Therefore, it allows the flow from port 1 to port 2. 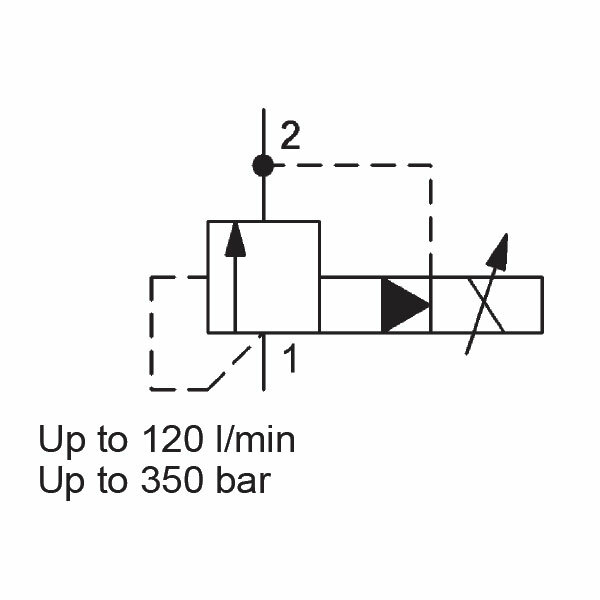 What’s more, as a function of the electrical signal, it is possible to steplessly change the relief pressure at port 1.